The TRUST-out badges are equipped with the TRUST TETRIS® system. 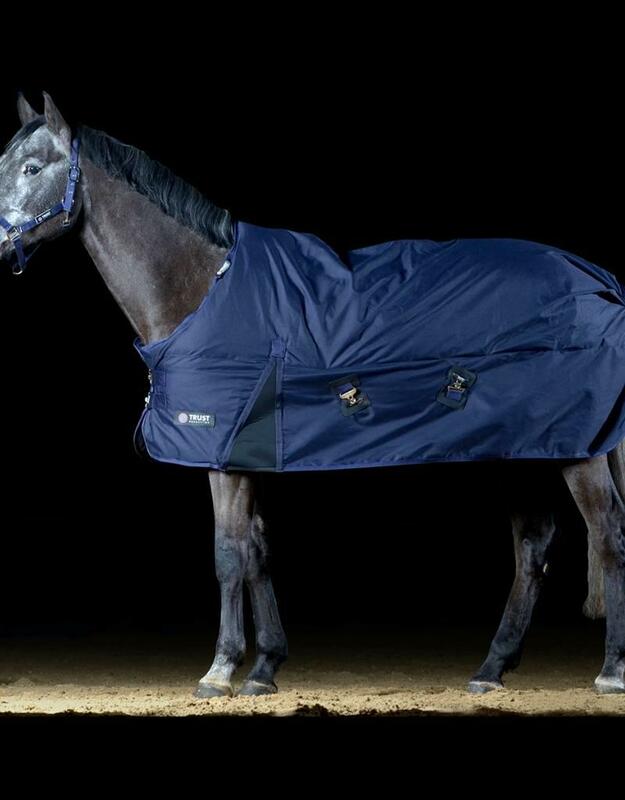 The TETRIS® system provides a tunnel around the horse's withers. The blanket is therefore free of the withers and remains very stable on the horse. The TRUST-out blanket is waterproof and breathable. This creates a pleasant climate under the blanket and keeps the horse warm and free of moisture as sweat and rainwater.